The ensemble El Gran Teatro del Mundo specializes in the performance of music from the 17th and 18th century. Named after the baroque mystery play of the same name from 1655 by the spanish poet Pedro Calderón de la Barca, the idea of single protagonists as representatives of the existential human conditions in the theatrum mundi also represents the aesthetical concept of the ensemble: united under a common artistic ideal, the individuality and temperament of each member highlight the manifold affects of the music, creating a vibrant and dramatic performance where the rhetoric of each piece is emphasised. Based in Basel (CH), El Gran Teatro del Mundo has performed all over Europe, amongst others at Festival Oude Muziek Utrecht, Festtage Alter Musik Basel, Musikinstrumentenmuseum Berlin, Musica Antica Urbino, Festival d’Ambronay, Centro Botìn Santander or Riga Early Music Festival. The ensemble also was selected as one of the “Promising Young Ensembles” of the International Young Artist’s Presentation (IYAP) at the Laus Poliphoniae Festival in Antwerp and won the prize for the best interpretation of spanish music at the Antón García Abril Competition in Baza in 2017. 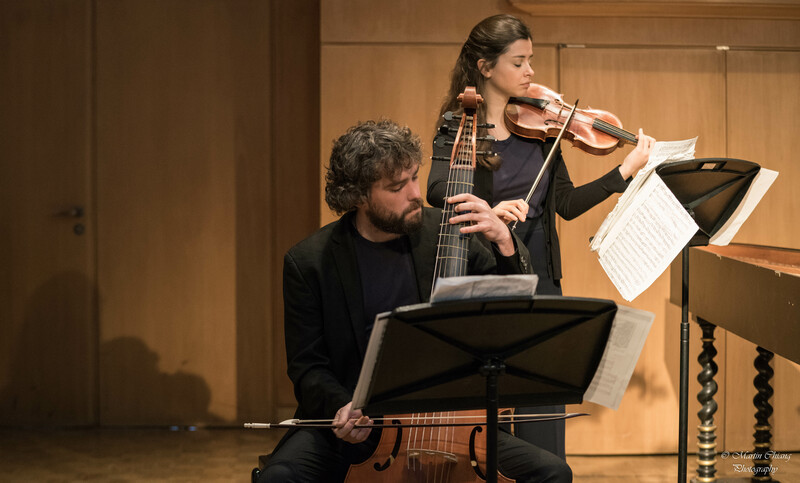 Since 2018 El Gran Teatro del Mundo is a beneficiary of the eeemerging project (Emerging European Ensembles) supporting young early music ensembles within the framework of the Creative Europe programme. Mortals play; this earthly ball let unfold, for there of all that is done, the scene must be. 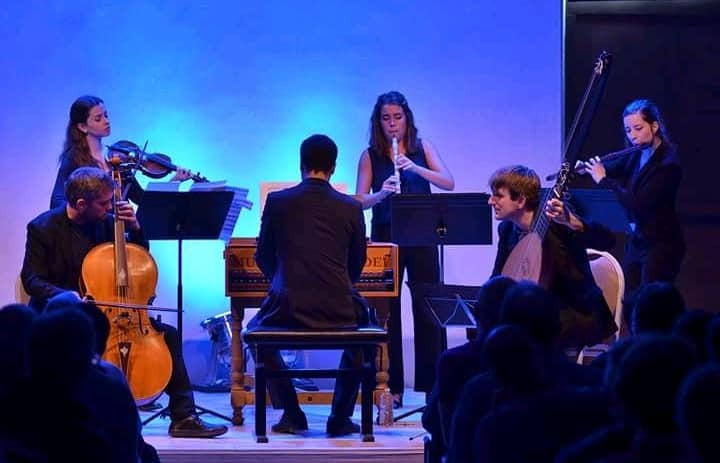 el gran teatro del mundo is a baroque ensemble based in basel, switzerland. Having begun her musical studies at Santander’s Conservatorio Jesús de Monasterio, where she completed her undergraduate studies, Miriam moved to Bern to study modern oboe with Jaime González. 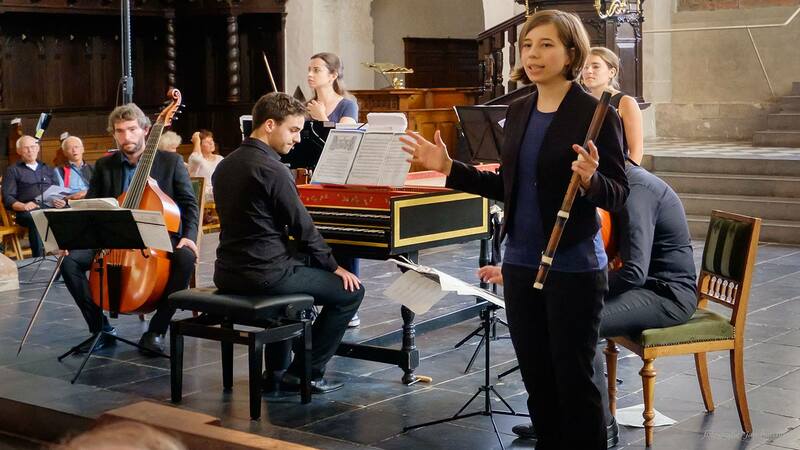 It was there, at the Hochschule der Künste, that she developed a keen interest in the baroque oboe and since 2014 she has been studying with Katharina Arfken for a Masters degree at the Schola Cantorum Basiliensis in Basel. 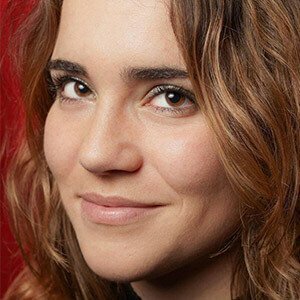 To support her studies, Miriam has received scholarships from the Marcelino Botín Foundation. 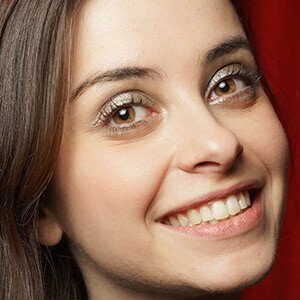 Since she began the baroque oboe, Miriam has toured internationally with a number of ensembles including Ensemble Zefiro, Freiburger Barockorchester, Musica Fiorita, L’Arpa Festinate and La Ritirata. She has been member of the Jeune Orchestre Européene Hector Berlioz, playing on historical instruments under the direction of François Xavier Roth, and in the 30th Handel Festival in Karlsruhe in 2015, where she played with the Simon Bolivar baroque orchestra from Venezuela, conducted by Michael Form and Václav Luks. Along with her own ensemble, El Gran Teatro del Mundo, Miriam has performed in Switzerland, Spain, and France. From October 2016 she will be studying in Mozarteum (Salzburg) with Alfredo Bernardini. She performs with numerous ensembles across the continent, such as Le Concert des Nations (Jordi Savall), Anima Eterna Brugge (Jos van Immerseel), Gli Incogniti (Amandine Beyer), LauttenCompagney Berlin, Elbipolis Hamburg, Berlin Baroque, Zürcher Barockorchester, Sollazzo Ensemble, Wunderkammer, CONTINUUM, Svapinga Consort, Voix Obligées et al. While she was still studying, Johanna became a teacher of renaissance traverso at the Schola Cantorum Basiliensis in 2016. That same year she founded the ensemble astrophil & stella which was appointed 2017 ensemble in residence in Rheinsberg castle. With her ensemble El Gran Teatro del Mundo, she maintains a busy international concert schedule. Additionally, Johanna’s performances have been recorded for rbb Kulturradio, MDR, SR, Radio de la Suisse Romande, Radio Catalunya, and has recorded for the Querstand, Coviello Classics and Decca labels. Johanna has been a guest lecturer to Mozarteum Salzburg, University of Arts Berlin and ESMAE Porto. She was an awardee of the Yehudi Menuhin – Live Music Now Berlin e.V., the DOMS foundation and Lyceum Club Basel, the Musikakademie Basel and the Hirschmann foundation. Her traverso playing was also awarded at the German national music competition “Jugend Musiziert”, Förderstiftung Fürstenhagen and at the International Gebrüder Graun Competition. Johanna Bartz completed her master’s degree with distinction at the Schola Cantorum Basiliensis in 2017, where she studied traverso with Marc Hantai and the renaissance flute with Anne Smith. Before that she studied with Barthold Kuijken at the Royal Conservatory Brussels, and with Christoph Huntgeburth at the University of Arts, Berlin. 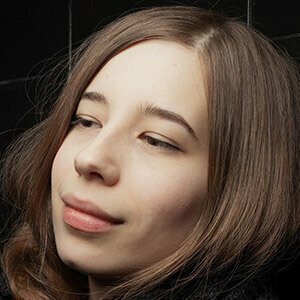 Johanna also holds a diploma in modern flute and instrumental pedagogy from the University of Arts, Berlin, studying under Annette von Stackelberg. A dynamic musician, French violinist Coline Ormond has performed throughout Europe. While pursuing her studies in Strasbourg, Sion, and Basel, Coline has been in demand with some of the continent’s top early music ensembles including Il Pomo d’Oro, Pygmalion, La Folia Barockorchester, Gli Angeli, and le Parlement de Musique. Coline’s own chamber ensembles have received international acclaim: with Concerto Ripiglino, she won the ‘Biber Competition’ in Sankt Florian, Austria, with Paper Kite she won the ‘Biagio Marini competition’ in Neuburg, Germany, and she was a finalist in the ‘International Competition Schmelzer’ in Melk, Austria. With El Gran Teatro del Mundo, she is selected as an International Young Artists Presentation Promising Ensemble in 2017. Coline took part in the EUBO 2016 (European Union Baroque Orchestra) and graduated her master degrees in 2015 and 2017 from the Schola Cantorum Basiliensis, after studying with Amandine Beyer. Julio Caballero Perez was born in 1995 in Granada, Spain, and started to study piano when he was nine. He soon moved to Madrid to study with the pianist Carmen Deleito. During that time, he won the Ávila Chamber Music Competition, was a finalist of the International Antón García Abril Competition, and took part in the young talents programme of the Davidsbuendler Association. He received a scholarship from and played as a soloist with the orchestra of the Katarina Gurska Foundation. At the age of 16 he started harpsichord studies with Denise de La-Herrán Sabik, whilst continuing to study piano with Eldar Nebolsin (Musikhochschule Hanns Eisler Berlin) and Claudio Martínez Mehner (Basel Musikhochschule). In 2013 he was admitted into the HKB (Bern) to study harpsichord with Dirk Börner. Since 2015 he has been studying at the Schola Cantorum Basiliensis with Jesper Christensen. 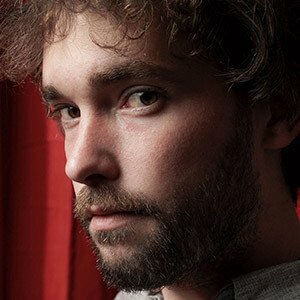 The ensemble “El Gran Teatro del Mundo”, of which he is a founding member, has been selected for the Young Artists Presentation (Antwerp) and for the Utrecht and The Hague early music festivals’ fringe concerts. Three other members of the ensemble are or were also members of EUBO. Julio has received lessons from musicians including Amandine Beyer, Michael Form, Paolo Pandolfo, Katharina Arfken, Dirk Börner, Juan Manuel Quintana, Andreas Staier, and Alfredo Bernardini. Jadran Duncumb is of Croatian and English origins, although from the age of nine he grew up in Norway. He made his mind up to study music when he became one of three guitarists in the history of the competition to win the ‘String Category’ and reached the final of the ‘BBC Young Musician of the Year’. He went to London to study at the Royal College of Music under Gary Ryan, but the riches of the theorbo’s chamber music repertoire and the freedom of continuo playing quickly turned his head. Before long he was spending far too much time playing and sightreading with colleagues in the vibrant historical performance department. taking lute lessons with Jakob Lindberg, and far too little time practising the guitar. After graduating with a Bachelor in classical guitar, he left the big city for for the Black Forest and the Staatliche Hochshule für Musik in Trossingen – accompanied only by a theorbo, baroque lute and a huge London-induced student loan. Thankfully, Trossingen was cheap, the professors amazing (he studied baroque lute and guitar with Prof. Rolf Lislevand) and his desicion very good. Not only that, but he accomplished his only major football achievement in winning the Trossingen Indoor Football Tournament of 2013. 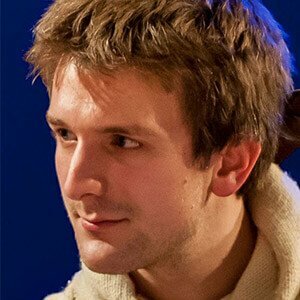 He graduated from his Masters programme with distinction in 2015, but stayed on to also graduate with distinction from a Masters in basso continuo. 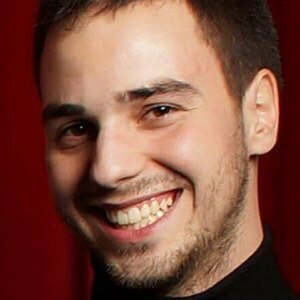 Although Jadran still loves the classical guitar, he now focuses on solo repertoire for baroque lute and baroque guitar and chamber music. His first solo CD of baroque lute sonatas by Weiss and Hasse will come out in 2018 on ‘Audax Records’, while a duo CD of muisc by Bach and Weiss with Johannes Pramsohler scheduled for release in April the year before on the same label. He also is a keen chamber musician and a member of Gran Teatro del Mundo and Repicco. Bruno Hurtado Gosalvez was born in Barcelona to a family of musicians and got in touch with a wide variety of musical styles at an early age through is father (composer, jazz pianist and harmony teacher) and his mother (music teacher and singer). He started his musical education at the age of seven and studied violoncello, piano and music theory at the Conservatori professional de musica de Badalona with Mark Friedhoff, and later on in the Conservatori del Liceu in Barcelona with Peter Thiemann. Afer, with a scholarship from Paul Casals Society and from the Generalitat de Catalunya, he pursued his studies at the Zürcher Hochschule der Künste, where he graduated with a Bachelor of Arts in Music in the class of Roel Dieltiens. He obtained a ‘Master of Arts in Music Performance at the Hochschule der Kuenste Bern’, where he studied violoncello with Louise Hopkins and viol with Brian Franklin. During his studies, he regularly played in orchestras such as the Orquestra Sinfònica del Gran Teatre del Liceu, Sinfonieorchester Biel/Bienne, Orquestre Sinfonique de Mulhouse and the Südwestdeutsche Philarmonie Konstanz among others, and with chamber music groups such as Les Elemens, El Gran Teatro del Mundo, The Queen’s Revels, Berner Kammerchor/Bern Consort, Perle Baroque, Allegria musicale, Les Moments Musicaux de Cacharel and the Zürcher Singakademie. His interest in electronical music also led him to collaborate with international known artists like Dj Swet. Last september he released the first recording with historical instruments of two piano concertos by W.A. Mozart in the chamber music version arrangement from J.K Hummel, with the italian fortepiano player and researcher Leonardo Miucci for DYNAMIC.”,and his own arrengments of J.S Bach cello suites for two cellos with CEZANNE Producciones. Recently he studies viol at the Academy of Music in Trossingen in the class of Lorenz Duftschmid. "With all my instruments, with singing and with quill"
Vous troublez-vous d’une image légère que le sommeil produit ? Le beau jour qui vous luit doit dissiper cette vaine chimère ainsi qu’il a détruit les ombres de la nuit. Les ombres de la nuit couvrent encore ces lieux. Volez, Songes, volez : faites-lui voir l’orage qui dans ces mêmes instants lui ravit son Époux. De l’onde soulevée, imitez le courroux, et des vents déchainez l’impitoyable rage.